One of the things I love reading are good detailed product reviews. No matter how cool something looks in a picture I tend to only buy if either someone I know likes it or somebody has taken the time to really detail a products pros and cons. Thirty-four 5 star reviews make this jacket seem like a pretty safe bet. Free ground shipping via FedEx as well. According to my tracking number it will be here tomorrow. Can’t wait! 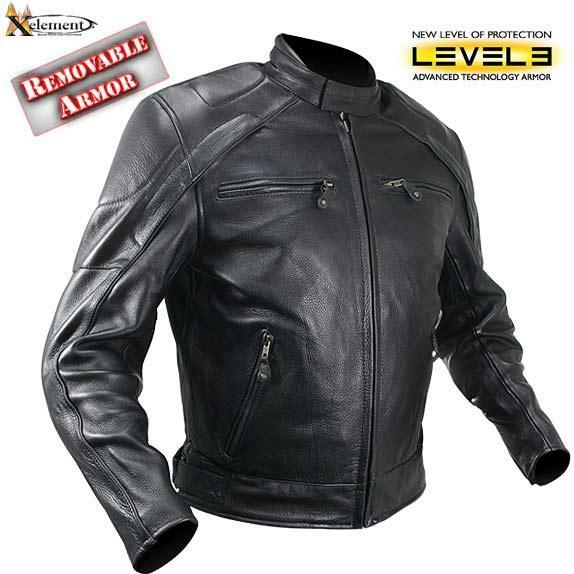 1 Comment on "Product Review – Xelement Men’s Advanced Armor Naked Leather Jacket p1"
I didn’t buy this particular jacket, but I have one of Xelements jackets and am very happy with it. If you haven’t ordered it yet, make sure and order a size up from your regular size. I think they run a little small.